MILWAUKEE -- Just over one year ago, Milwaukee Bucks forward Sterling Brown was tased by Milwaukee Police after double parking in a handicapped-accessible space. "It was just confirmation for me on what goes on, on a daily basis," Brown said, regarding police incidents. Could Record Low Temperatures Spell An NBA Finals In Milwaukee? In an interview with Shannon Sims, Brown said that despite what happened, he still thinks of Milwaukee as home. "It's a city that continues to show me nothing but love." Brown is no stranger to these types of situations. Two of his closest friends were shot and killed when he was younger. When asked if it is difficult for black men in Milwaukee and Maywood (his hometown in Illinois) to survive, he responded "it has it's challenges." Brown also touched on how difficult it can be for some black men to avoid the environment they grow up in. As a response, Brown and his brother created the SALUTE foundation. SALUTE is all about mentoring young children about daily struggles and "creating an avenue to get them out of the streets." 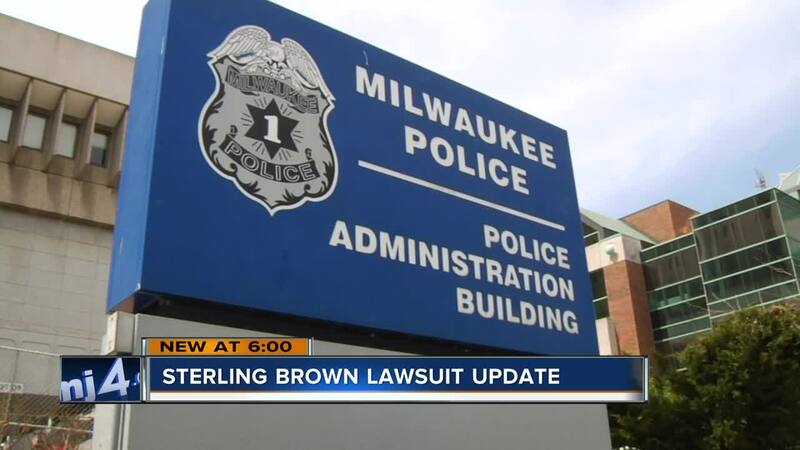 As a result of his situation with Milwaukee Police Department, Brown has used it to shed light on the bigger picture. "It happens to a lot of black men on a daily basis and they aren't able to be heard. It's up to me to step up and be the voice of voices." For the full interview, click here .